The DfT – Department for Transport in GB are asking people to discuss and make suggestions about changes to road-worthiness testing for classic vehicles. While this is not strictly a run of the mill consultation there is no doubt that the outcome of this will have an effect on periodic testing – MoT – for these vehicles including motorcycles in Northern Ireland. The proposed changes come via minimum requirements for periodic road-worthiness set out in a European Directive 2014/45/EU. While previous changes in GB have followed suit in Northern Ireland and even with our own consultations by our own Government Departments by then it may be a little too late. So at Right To Ride if this issue is something that you feel the need to submit a response to the DfT via a comments box and a short survey on a DfT website. NOTE: The website will be open to the end of October 2014. The Department for Transport (DfT) has set up a website for people to discuss and make suggestions about changes to road-worthiness testing for classic vehicles. The current rules in Great Britain will have to change in 2018 and they are seeking views and evidence on the best way to make those changes. 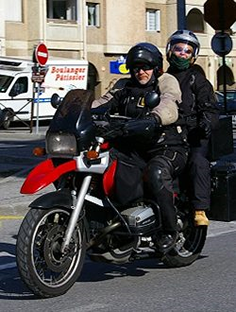 This effect all vehicles of this nature and the DfT have set up a specific page for riders views to help them find the best way to treat motorbikes. 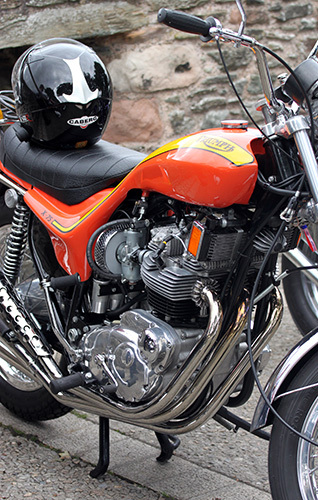 Under current GB law motorbikes that were manufactured before 1960 can be exempt from MOT testing. A new EU directive allows the UK to continue to allow exemptions from MOT testing, but now for vehicles over 30 years old providing they have not substantially changed. The UK has to amend GB law to reflect the EU requirements if we wish to continue to exempt classic vehicles, but there is a lot of flexibility about how this can be done. On the DfT web page they have asked for views, which they say will help them to find the best way to treat motorbikes. Do you think classic motorbikes should be exempt from periodic testing? If not, how frequently should they be tested? How appropriate would self-certification onto a register be? Who do you think should bear the costs of any administration? No ‘substantial’ changes are allowed to the ‘technical characteristics of [the vehicle’s] main components’. Do you have suggestions for what should be considered ‘substantial’ and what should be considered ‘main components’? DfT update – 15th September: A total of 1612 people have completed the survey so far – the vast majority of people have answered in relation to cars and vans. There is support across all vehicle groups for each of the options however, the most popular is that classic vehicles should be exempt from period testing and that exemptions should be set according to the age of the vehicle. Support for periodic testing exemptions for classic vehicles is particularly strong amongst those answering in relation to motorbikes – 80% of motorbike respondents support exemptions.